If you’re on a lookout for porcelain benchtops in Perth, Medici Marble & Granite is a supplier you can count on. We can provide large porcelain slabs for porcelain benchtops and countertops. The porcelain slab series have a characteristic of their own. We have available many stunning neutral colours that you can choose from like, white, grey, dark white, and black, making it a lot easier and quicker to match colours with any interior designs you have. With its versatility, it can also add beauty, class, elegance and style to any kitchen or bathroom frame. Porcelain benchtops are built, and crafted out of powdered clay and coloured pigments and are mixed, bonded and linked at a very high temperature and pressure – this is why porcelain can withstand extreme heat and even fire. So if you after benchtops that is ideal for either internal or external utilisations, Porcelain is the best option for you. If you are looking for a type of porcelain that you can use for your home, commercial or private property, please visit our Laminam porcelain page by clicking below. 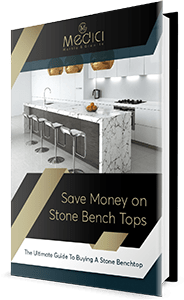 With our extensive experience in supplying, installing and learning about porcelain, we are confident that we can provide you with the best, high quality and long-lasting benchtops that will serve you, your family all throughout the coming years.